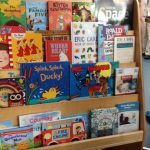 Doorstep Library volunteers go into some of the most disadvantaged areas in London to help to introduce children aged 1- 11 to the pleasure of reading. Give a Book has worked with them since 2014—supporting them to buy appropriate books for the 500 children they now visit each week. They currently have over 100 volunteers at 13 projects – 6 in Hammersmith and Fulham, 5 in Westminster, and 2 in Lambeth, with plans to expand that further over the next year. You can read our chat with one of their volunteers, author and TV presenter Janet Ellis, here. 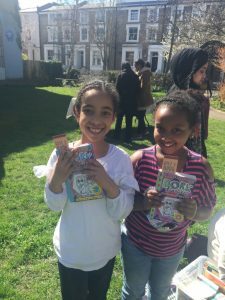 We also send books each summer for their Read in the Park events, and supported their Easter 2018 event in Hammersmith Community Gardens. supporter of ours noticed us on your website (a good sign! ), and noted that our info was a little out of date. We realised we haven’t updated you on all our successful expansion over the last year! We’re really excited to have launched so many new projects and couldn’t do it without the ongoing support of organisations like yourselves! Thanks so much and have a great summer, we look forward to meeting in the Autumn. We received all of those lovely books with relish yesterday! We can’t thank you enough, they are just perfect, And the perfect amount to ensure we won’t run out this summer! We just had our first event which was more of a success than we imagined! 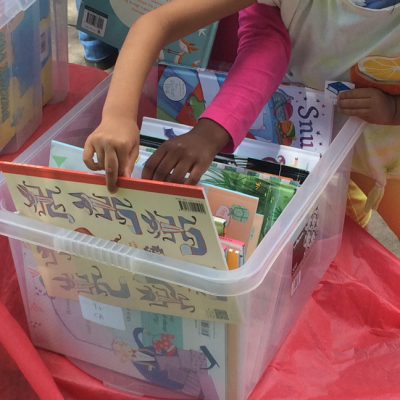 We gave out around 100 free books…. 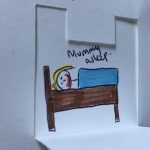 It’s so satisfying to see children’s excitement when they realise they can pick one to KEEP! Thank you so much again for your constant support. On Wednesday 3rd August we attended the Play Day in Hammersmith Park. It was a huge success! We joined many different organisations offering messy play, gardening, crafts, outdoor play activities and more – and we provided an enchanting storyteller named Akuba, bringing her Ghanaian-style Anansi Stories which captivated all ages; a reading corner for children and parents to have some quiet time; and of course – free books! We gave away 83 in total, and the children were delighted. We often spotted them elsewhere in the park engrossed in their choice! 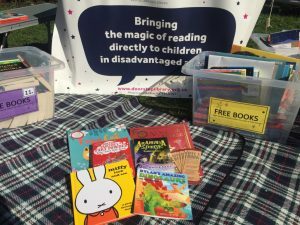 We gave away a similar number at last week’ s event in Normand Park, where we even managed to intercept groups of boys playing football to give them a free book token – and it wasn’t long before they were eagerly queuing up to rummage in the boxes! With so many enticing activities to choose from, sometimes sitting and reading is not a top priority at events like these. 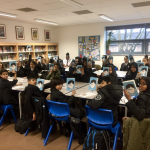 But giving away a free book to every child, that they themselves have chosen, is a wonderful and memorable take-home of the day. And what better way to get children reading over the long summer holiday than a book of their very own! Thank you so much Give A Book, for helping to spread the magic of reading.